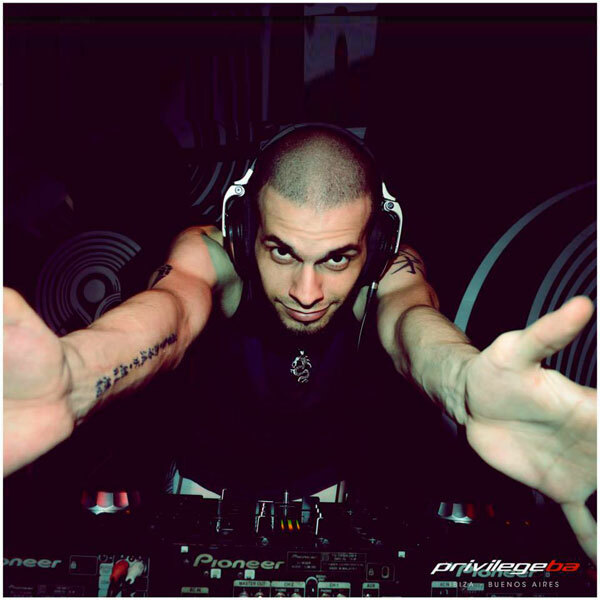 One of the fastest growing DJs in the Argentine territory in recent years, Cristian hails from Buenos Aires, Argentina. Nearly a decade DJing almost all styles and carrying out his own label – Dbeatzion Records – Cristian surprises monthly with a vast number of releases and private tracks for his shows, having a unique style. Born in Buenos Aires in July 1987, Cristian was fed with the music (not just electronic) almost from the cradle. Since entering adolescence began to shape his likings and projections, influenced by a variety of high-end European artists, plus the experience of his brother, guitarist and singer. At 14, he started his career as a DJ playing house music in a big Club from the Center of Buenos Aires. During 8 years he has been residing in all types of Music Clubs and Events, achieving full independence in 2008, joining one of the most exclusive Nightclubs in Argentina: Asia de Cuba. Influenced from the beginning by Jean Michel Jarre, Eric Prydz and Michael Cretu, his idols par excellence, Cristian does not stay locked into a branch of music, preferring rotation between different sounds through his records, able to travel within the EDM without problems. Among more than 45 releases edited – between singles and remixes – , is necessary to mention the great supports he is getting everyday from top DJs the likes of Paul Oakenfold, Sasha, Jerome Isma-Ae, Erick Morillo, Randall Jones, Deep Dish, Thomas Penton, Chris Montana, Falko Niestolik, Oliver Moldan, Claes Rosén, Daniel Portman, Manuel de la Mare, to say a few. Important to highlight the past 2010, having made one of his best songs ever, called “Neon” which was remixed, reversioned by himself and already re-released 10 times (included in the WMC 2011 Compilation) – and his most important single of the year called “Ioann EP”, seeing the light in december 31st, starting a promising 2011. Cristian is a connoisseur of music. He has been not only listening but analyzing it since he was a child, finally understanding the evolution of the genres, which could adapt creatively in the writing and composing process. He is now experiencing new roads with celebrities of the world being the new Official Remixer of bands such as Sirens or Groove Coverage with Sony Music as label, with a future no less hard that will carry a lot of work. For this upcoming summer, Cristian has been working with people like Liam Keegan and Eitan Carmi, and planning his new single “Dreamt Paris”, a tribute to a city he quite appreciates for personal reasons – which will be dropped in june including remixes from Lissat & Voltaxx and Manuel Baccano; great and well known artists from Germany. Finally, he is grateful to the public, that made him be who he is today.